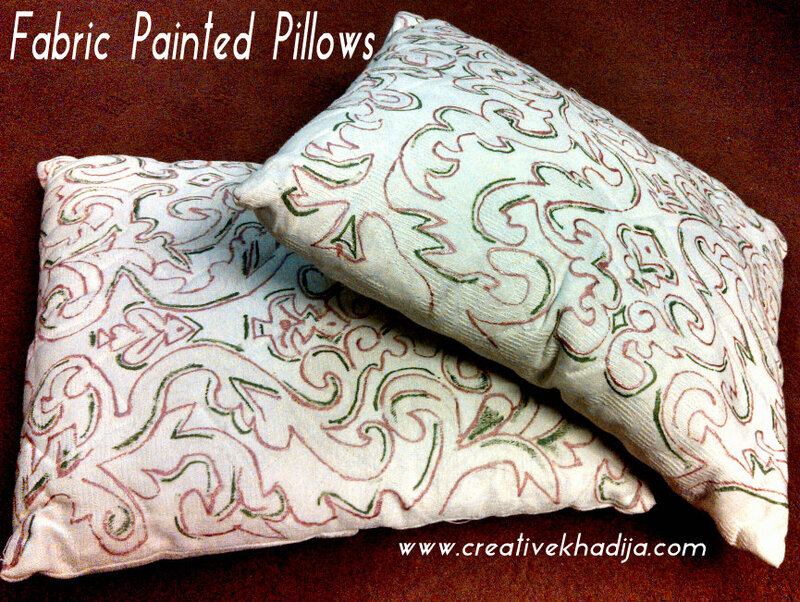 During my Textile design studies, I learn several techniques about fabric art & design. 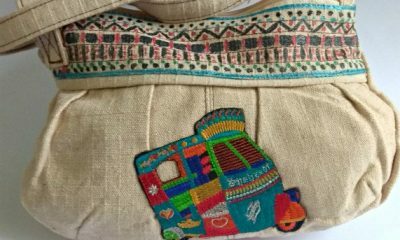 a few of those were Tie& Dye, Batik, screen printing, fabric painting, different types of embroidery, zarri work, needle hook work, weaving, applique, quilting etc.. Once I were having a project in which I was assigned to create something by using maximum techniques I have learnt. 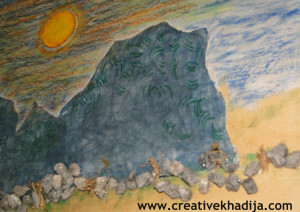 So there I work on this wall art piece.. Have a look.. In this wall hanging, I have used about 25 techniques of art & craft..including some different things from mix media as well.. 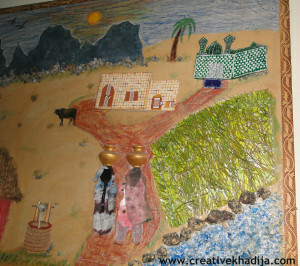 It was a white canvas & I paint & paste lots of things over it..Have a look at its detail. 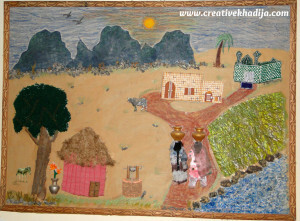 In this picture, I am sharing a view of rural area & a village scene. 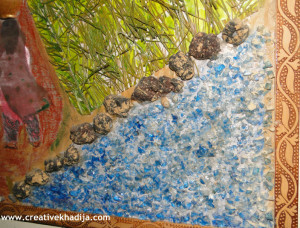 in right corner I am showing water with glass mosaic & the stones made by clay. 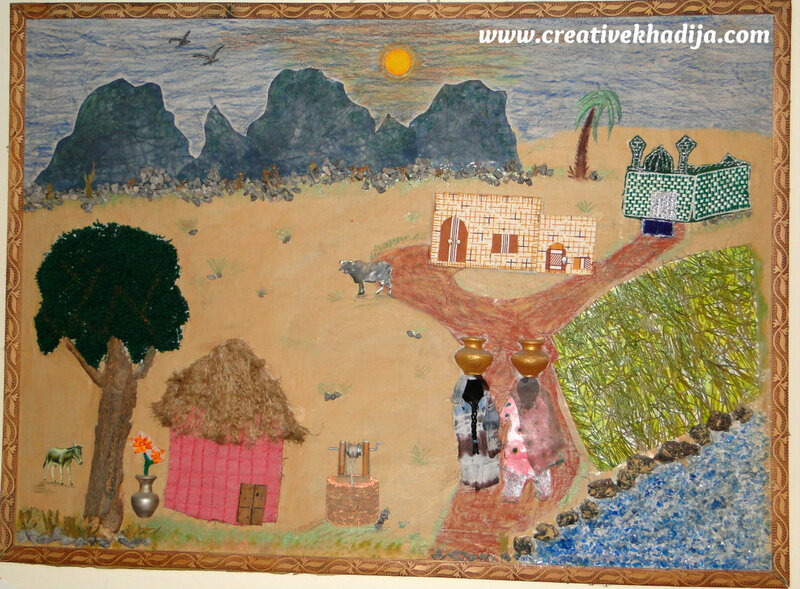 then I paste orignal grass but spray painted with green.. the two ladies are holding mud water pots & wearing tie & dye+silk paint dress..the house is made with applique technique & there is a small well also visible.. 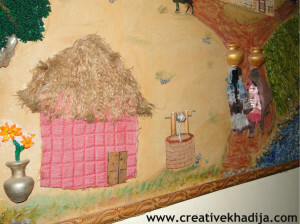 The hut is made with quilting & the roof with jute..the plant in mud vase is ribbon work embroidered.. 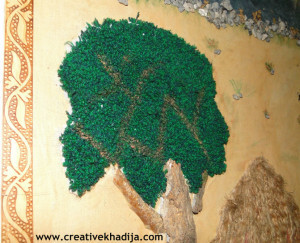 Here it is the tree & thick leaves are needle hook embroidery work..
Marbled Clay stones..I use black color which mixed with white n the look is grey now! Hills with batik technique..and some original small stone pieces. and this little house with applique technique. 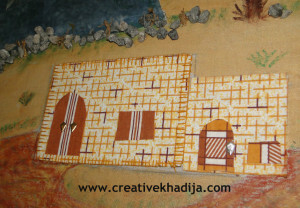 I made a mosque with ribbon weaving & the hills are done with batik work. I paste these things on the board & then I fill the area with some little stones along with hand drawing. just to fill the extra space on canvas. 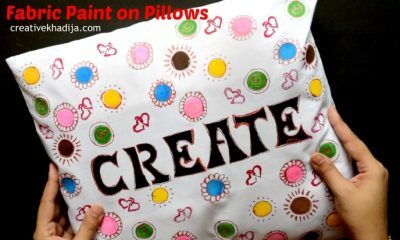 I use oil pastels, glass paint & fabric paint/led as well..
Hermoso trabajo amiga. Muy interesante el saber trabajar varias técnicas. Un trabajo muy bonito. Thanks Sonia.. Wesy mujy to is me kafi mistakes lagti hyn.. Hehe..dont u feel some? Wow amazing, 25 different techniques in one project. 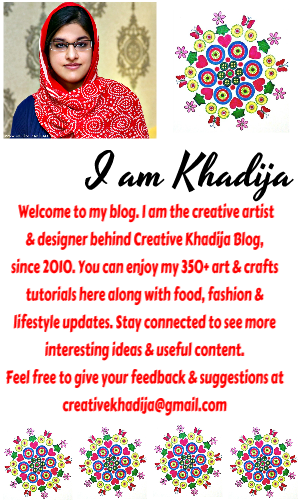 Great work, Khadija! Thank you Ambreen, it was a college project..otherwise I was not going to try this difficult project..
You are doing a very nice job on this art. That is wild and exotic – I love all the 3-D elements, like the pots and the marbled stones. What a crafty workout! haha..agree with you dear Mich..I try my level best while making..
this is wonderful. xo P.S.>thank you for sharing at the hop. WOW… very beautiful work.pure rural culture…very nice. Trabalho bonito e muito difícil de ser feito. Tantas técnicas de artesanato juntas. Thanks sweet friend & Happy weekend to you too.. Thank You Robin. I will be visiting soon! I love everything you make!! Thanks, so sweet of you! So many great techniques in one work of art! Thanks a bunch my dear..I will definitely be sharing more. Hi, great post. I found you through the blog hop. Please stop by and say hi when you get a chance. 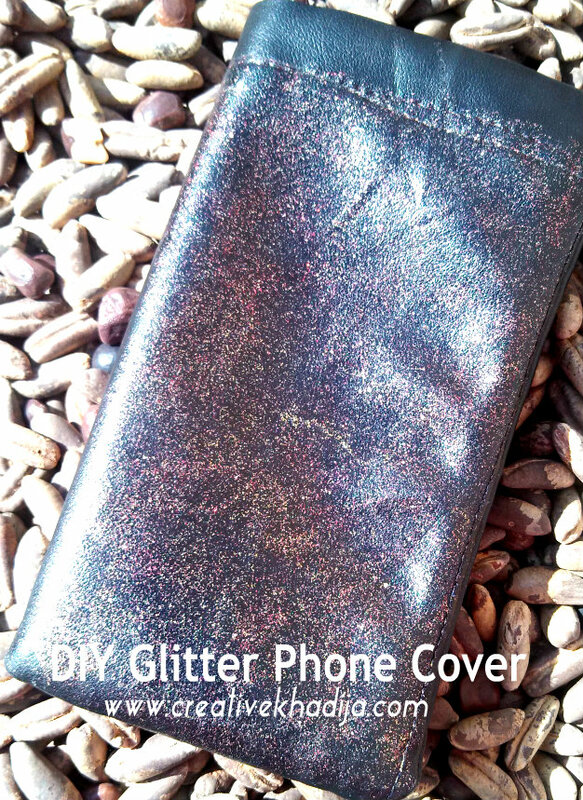 .Be sure and check out my new Blog Hop that started. It’s Weekly Goals Link Up. It’s a great way to stay on track. Have a great day. :) Now following you. Thanks & sure, I will be visiting & linking there.. So creative! Very cool! 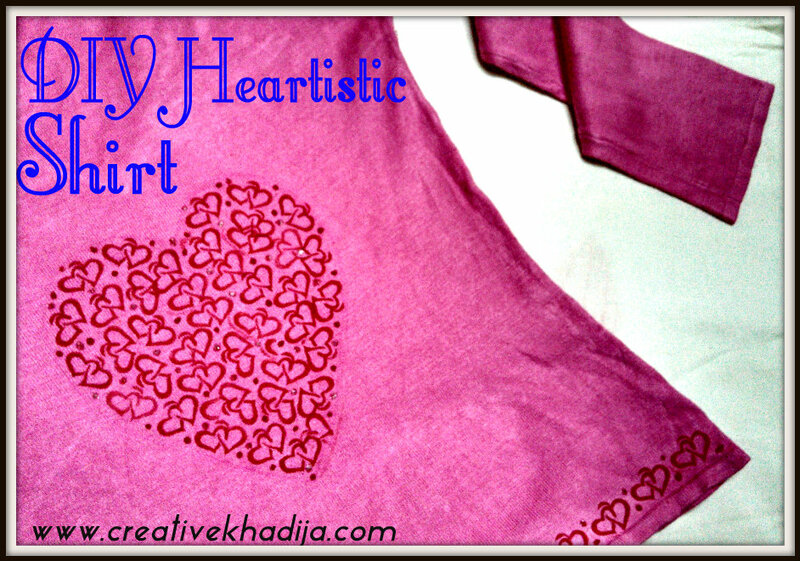 Thanks so much for sharing at Wednesday’s Adorned From Above Blog Hop. Ah, yes, nothing like working with fabric–so many techniques possible and you’ve packed in a punch! That is really neat! It’s great that you were able to study all these awesome techniques and use them in your art. Love it! Have a great week and thanks for linking to my Homemaking Weekend. The new link is posted if you’d like to join this week! Thank you! Sure I will be joining..
THAT is super creative.. You are super duper talented.. wow!! This is actually what i was searching for, Thank you.